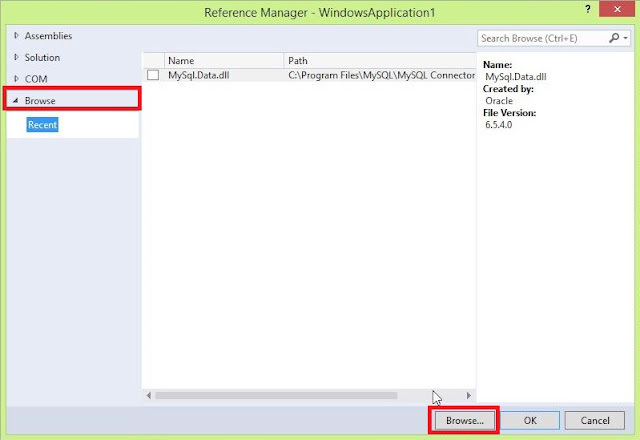 How to use MySQL with Visual Basic .NET? 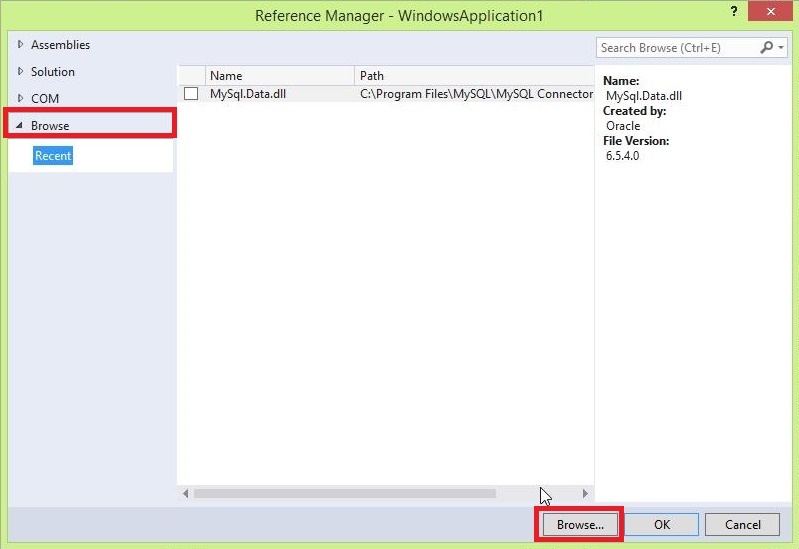 Watch this tutorial for basic mysql connection with visual basic .net 2013/2010/2008. 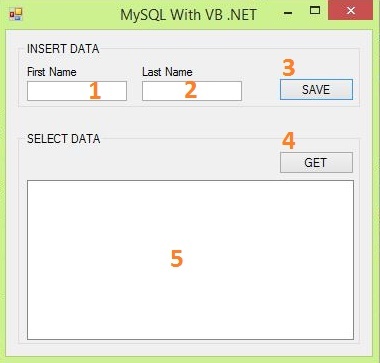 Visual basic database can be anything like MS Access, MSSql etc. 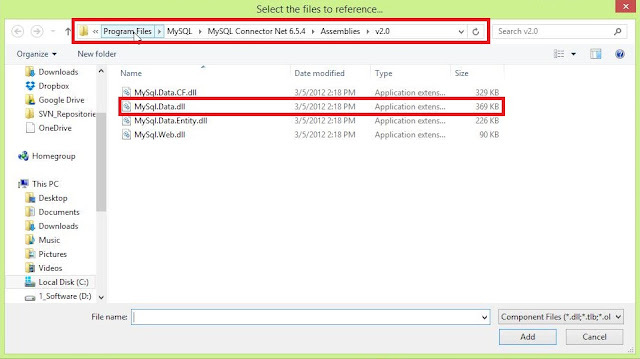 but if you are already working with MySQL a lot then probably you would like to use MySQL with your vb.net application. 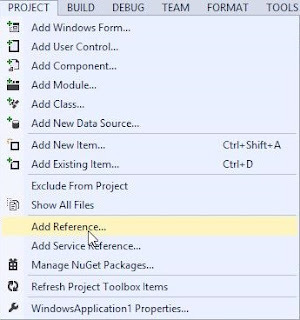 To enable vb.net application to communicate to MySQL databases, MySQL has already provided a connector .DLL that you need to import to your Visual Basic .NET application which will give all the classes and methods that you will be using to create an application in visual basic .net that connects to MySQL database in order process database related requirements of the application. Target of this tutorial is to establish connection to MySQL server Database from Visual Basic .NET 2010. Creating database & tables etc. For the sake of simplicity, create a database with your IDE or whatever the way you like as vb_mysql and a table in it with the name _users with the following structure. 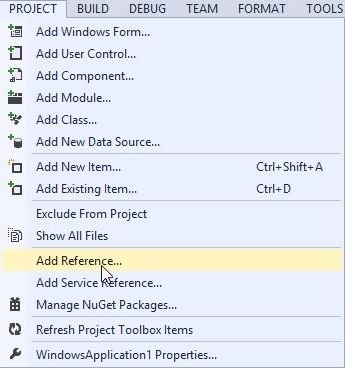 Okay, now open VB.net and create a new project and name it whatever you like and save it. Now do as the following. Note: This directory may change as per where you have installed MySQL Connector. 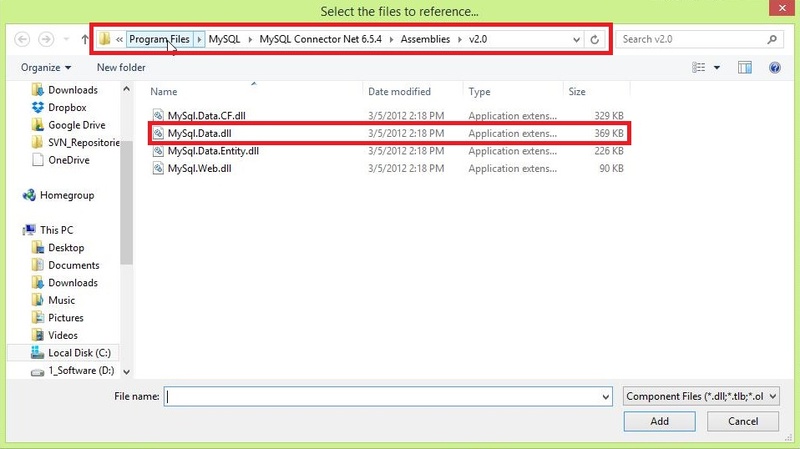 Okay, now select MySQL.Data.dll as shown in the above screenshot and click OK. This action will add MySQL Dot Net Connector with our project. So we are done with the database, let's create the form for the project. That's it. We are done with the database and form so far, lets start coding in the next part. Now Double-Click on the form to bring the code editor. This will allow us to use various types, methods and classes of the Connector. Here we are declaring 4 public objects that we will use. dbconn is the connection to the database. sql is a string, which will actually hold our query. dbcomm is the MySqlCommand that will execute the query. dbread is the one which will hold those data that we will fetch using query from DB. password: The password of the user of the mysql database server. This is optional, if your user doesn’t have any password, you don’t need this. port: This is also optional, the port number for the server. I have two server running, so I used the port number to connect to the specific one. The default value for this is 3306.
database: The name of the database in the mysql database server to connect to. This will open up the connection, if failed, then the message of the catch block will be showed. Run your program to see if you get the Error Message, if don’t then stop debugging and come back to IDE again. If you see the error message, then also, come back to the IDE and check if you did everything in the same way this far, try checking from bottom to top. If everything is good then we are also good to go with saving the data to the database in the next part. Double click the button with label SAVE (name Button1) to write the following codes in its click event. sql = "INSERT INTO _users(u_id,u_firstName,u_lastName) VALUES(NULL,'" & txt_firstName.Text & "','" & txt_lastName.Text & "')"
After that, we have displayed a message to show that the data has been successfully inserted without any error. However, if any of this goes wrong, we have a message to show in the Catch block which will tell us what has gone wrong. So, now you can run your program and try putting something in the txt_firstname and txt_lastName TEXTBOX and then clicking on SAVE to see which message appears. If the error message appears, this means the data wasn’t saved, else means the data has been saved successfully. Data is saved, but of no use if can not pull the data back for processing, right. Move on to the next part. sql = "SELECT * FROM _users"
Then we have written the SQL Query string to pull out everything from the _users table. Then we started a Try…Catch block to start processing the query. Description of the above two lines are same as it was in the Button1 event. Here we made a loop which will run until our mysql data reader, dbread, has data. In each loop we add one user name from dbread to our list listBox_users. After that, we have closed the dbread. In the Catch block of this Try…Catch block we have showed a message regarding the data reading process’s failure though we don’t think that this will come up if you have done what you have been instructed to. So that's it, all done, we connected to DB, saved data and also pulled back data from DB. In the last part, we will get the full source code and will download the project to see things in action. So now, run your program again and click the GET button and the list on its left will be filled up with the names you have inserted earlier. Let me know if you are facing any issue implementing this tutorial. Please come up with screenshot of the error message or bugs so that I can see what’s going on. You can download the Application also, click on the following link.